If you saw the movie but have not read the novel, then you have missed a totally engrossing experience. Warm Bodies is so much more than a star-crossed zombie-human love story. Funny, frightening and tragic by turns, Warm Bodies slyly introduces themes about us, about our human condition, and about our lives in the here and now. The narrator, R, may have forgotten his name and his life before becoming one of the living dead, but his take on humanity is spot on. The author, Isaac Marion, has a gift, not only for words, but for clarity and insight. His newest offering, due out in October, is a prequel to Warm Bodies: The New Hunger. 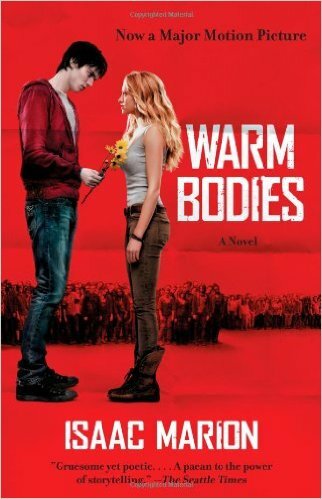 You may want to read the prequel prior to Warm Bodies, but I warmly suggest you read Warm Bodies first.